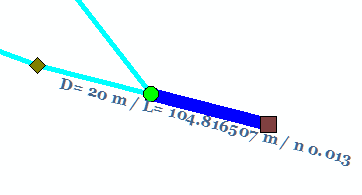 A rise in Pipe Inverts Across a SWMM 5 Node Subject: This is how SWMM 5 handles jumps in pipe invert across a node. The water surface in the node determines the flow in the link, as the depth increases due to upstream inflow eventually the downstream link will start flowing. 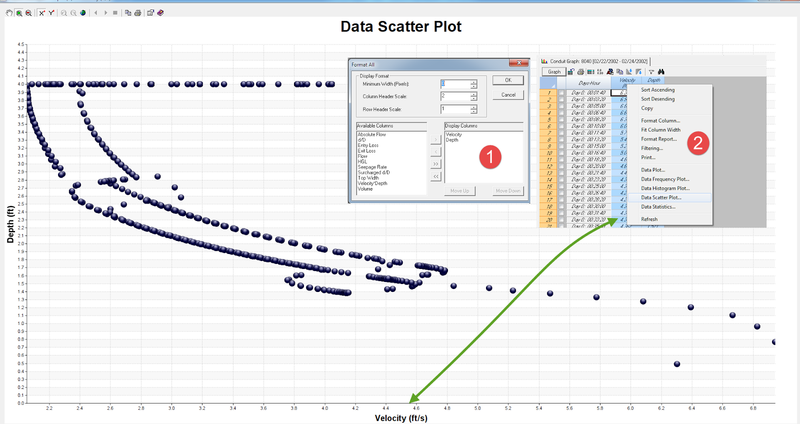 InfoSWMM 2D Version 13 Brings Significant 1D and 2D Simulation Advancements To Power Users Latest Release Confirms Product as Leading GIS-centric Urban Drainage Modeling and Management Solution Broomfield, Colorado, USA, November 18, 2014 Innovyze, a leading global innovator of business analytics software and technologies for smart wet infrastructure, today announced the worldwide availability of the V13 Generation of its industry-leading InfoSWMM 2D for ArcGIS (Esri, Redlands, CA). 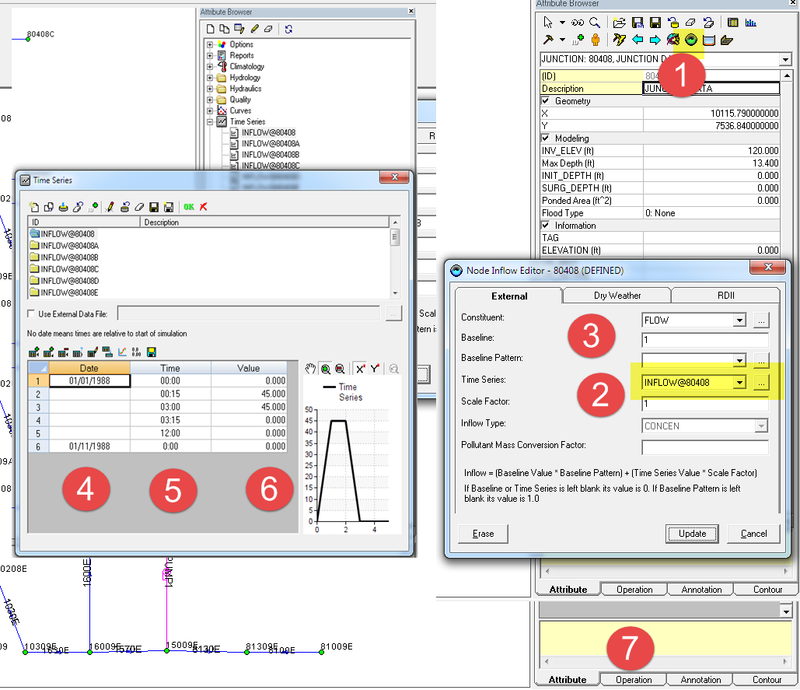 InfoSWMM 2D delivers new ways to quickly and accurately build and analyze very large and comprehensive two-dimensional (2D) models that reliably simulate complex urban stormwater, sanitary sewers, river flooding and pollutant transport. It allows users to accurately predict the extent and duration of urban and rural flooding for comprehensive stormwater management directly within the powerful ArcGIS environment. ----------------------- Build 5.0.002 (11/1/04) ----------------------- Engine Updates 1. 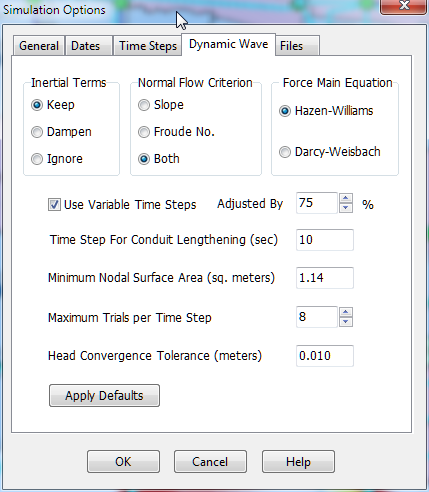 Modifications made to the Picard method used for dynamic wave flow routing routine. 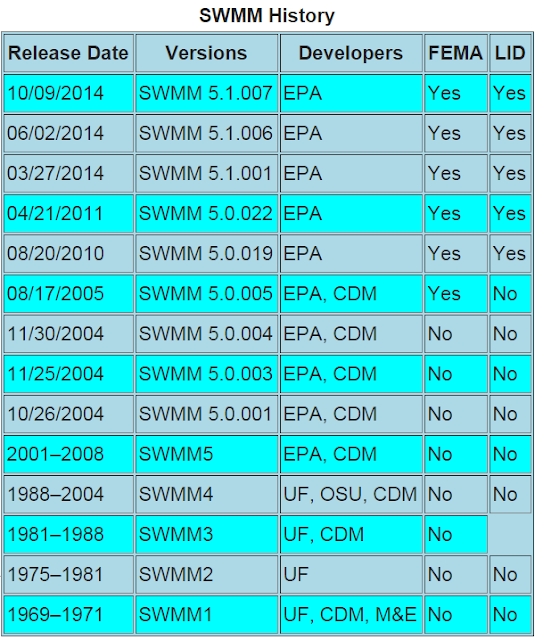 ------------------------ Build 5.0.001 (10/29/04) ------------------------ First official release of SWMM 5. 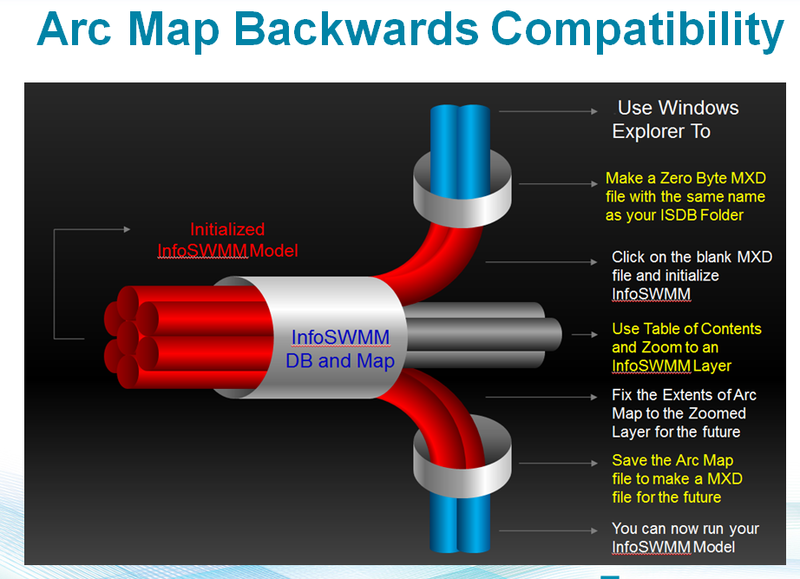 This is for Students who want to make their own customized version of the SWMM5 GUI Interface. You can use the Embarcadero Starter Version for XE2 to XE7. Here are the main files you download from the EPA There may be a problem with teechart and the starter version - see the note here http://docwiki.embarcadero.com/RADStudio/XE7/en/FireMonkey_and_TeeChart I got it work in XE7 but I did have to remove XPPRINTER references from the Delphi code. 1. 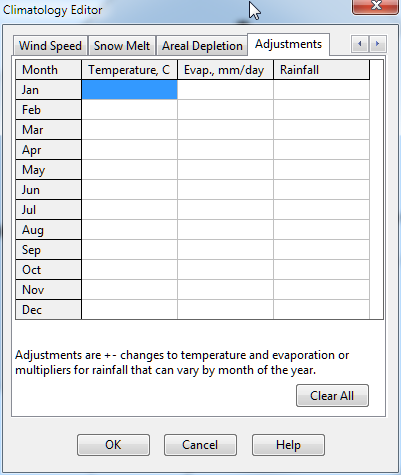 A new feature that provides monthly adjustments for temperature, evaporation rate, and rainfall was added. 2. Support for reading the new GHCN-Daily climate data files available from NCDC's Climate Data Online service was added. 3. In addition to lateral groundwater flow, a custom equation can now also be used for seepage flow to a deeper groundwater aquifer. 4. The [GW_FLOW] section of the project file was renamed to [GWF] and its format was changed to accommodate both lateral and deep groundwater flow equations.